Not me, but the subject of the pastel drawing above. 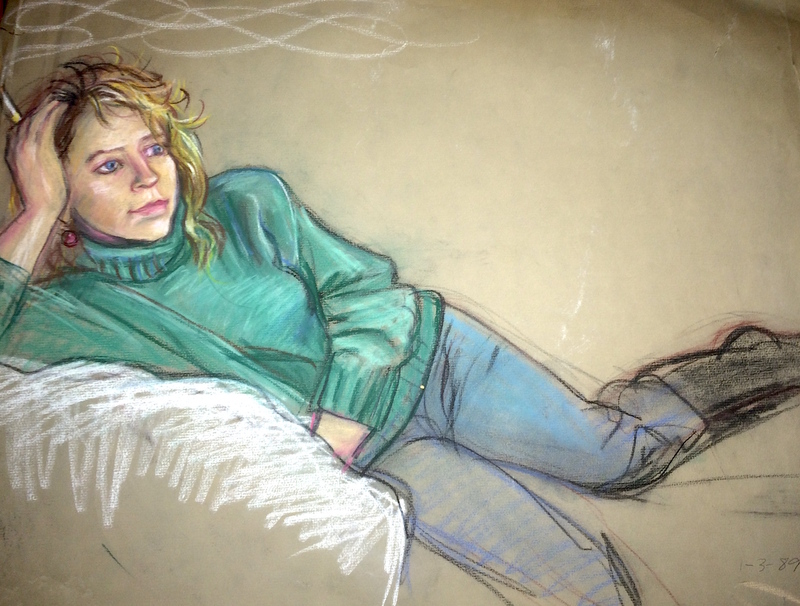 I went to art school with Geri Harkin-Tuckett and we were friends until we had a falling out. This drawing was done not too long after we were out of school. She's not a household name but she's definitely won at least one award, from the Chester County Art Association. I'm glad I took this picture, the drawing is on some pretty crappy newsprint and is about to go. 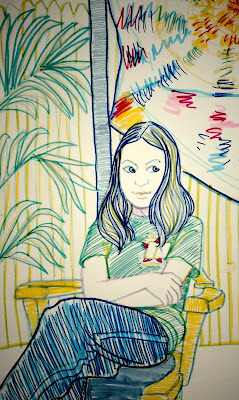 And here's a marker drawing of my daughter sitting in Geri's backyard when Geri was living in Philadelphia. My daughter was still young enough to go places with me, socially, but just barely, as you can tell by her body language. 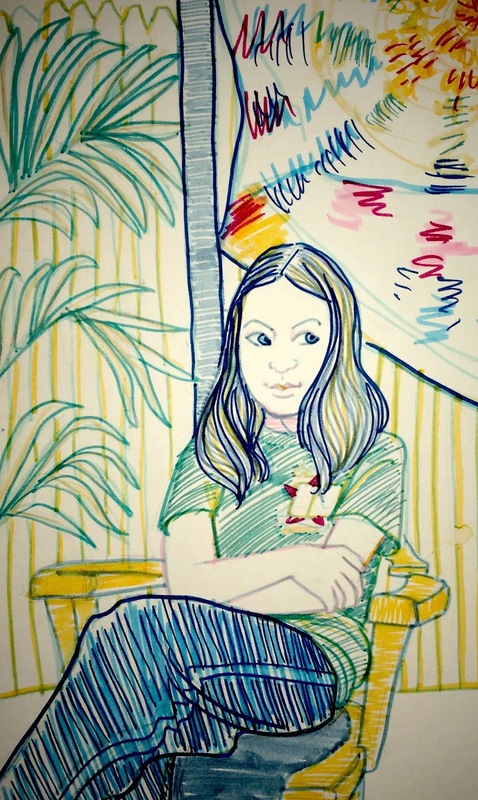 I was really into magic marker for several years - and nothing fancy either, my preferred implement has always been Crayola magic markers, which are perfect - non-toxic, odor-free, inexpensive but good bright colors, and if you splurged a little you could get some more exotic, non-primary colors. Markers are a real challenge to get right, even if you do a pencil under-drawing. Not even watercolor is as unforgiving as markers - you can salvage a wrong turn in a watercolor, but make a wrong stroke with a marker and most of the time you've ruined the entire drawing. So a good magic marker drawing is a real accomplishment. And I think this one is pretty good. The choice of gray for the lines of her face worked out very well - anything darker would have been too much.